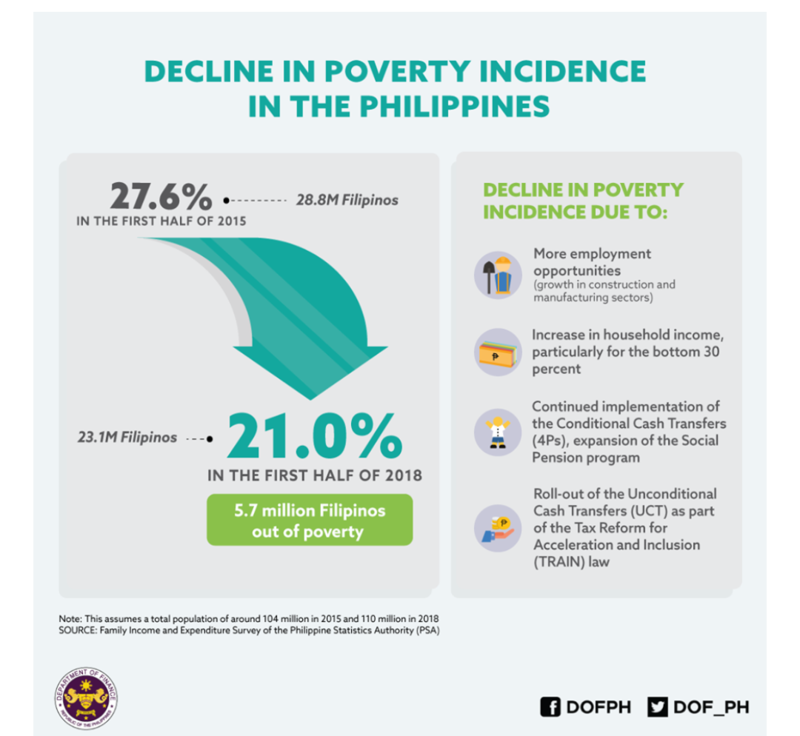 Poverty incidence in the Philippines dropped to 21.0% in the first half of 2018 from 27.6% in the first half of 2015. This is equivalent to 5.7 million Filipinos who were lifted out of poverty, according to the latest Family Income and Expenditure Survey of the Philippine Statistics Authority (PSA). 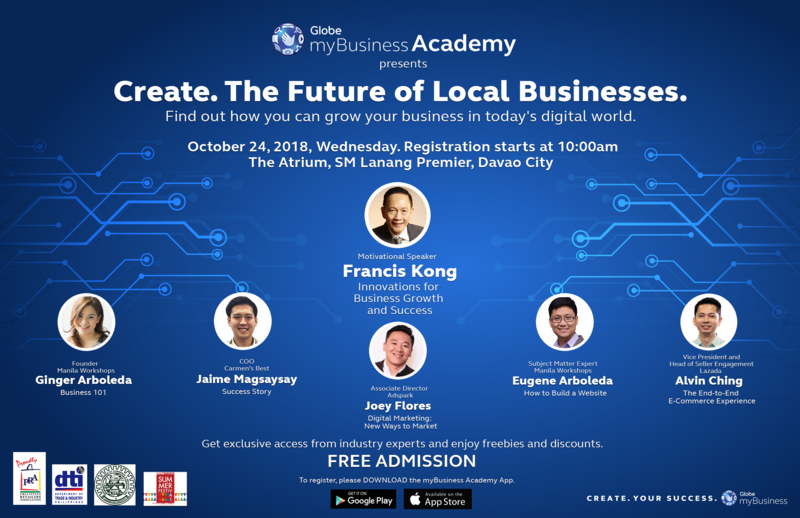 Further, NEDA says the country is on the right track and supports the pursuit of key reforms, such as the reduction in foreign investment restrictions and package 2 of the Comprehensive Tax Reform Program (CTRP) in order to encourage more investments and facilitate job creation especially in the rural areas.